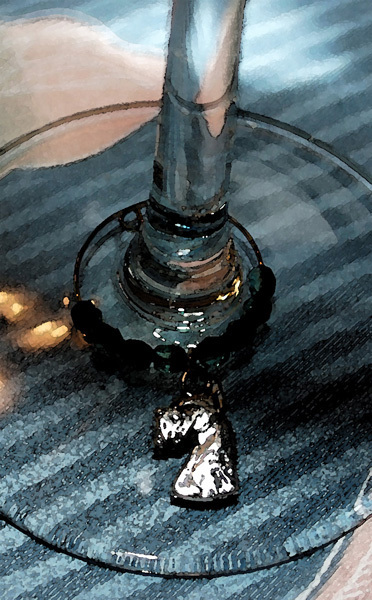 You choose the beads and the charms to make your own set of custom wine glass charms. How about a palette for your artist friend? Or a Skier for your skiing buddy? Or a flower pot for your friend who loves to garden? Start YOUR own collection now - and they make great gifts for the wine-lover in your life, too! Registration management for conferences and events of all sizes ... anywhere! Why do just ONE thing ... especially when I have so many different interests?!?! Have you heard of Market America? It's been around for over 20 years and has never had a "down" quarter! That in itself is amazing - but the more I learn about this company the more I believe that we are riding the wave of the future. Growth has been huge for us in the last few years, since we partnered with Microsoft and purchased our web portal, Shop.com. MA is now an international product distribution company and we have over 4,000 partner stores in the USA. In a way, we're like Amazon.com … but with a twist. Not only can our customers shop online at many of the stores they already shop at, but they can get special deals only for MA customers AND get cash-back incentives on most of their purchases. The internet and smartphones are the shopping wave of the future and Market America is poised to be at the forefront of this wave. Years ago I was offered a job at Microsoft and I said "no one in their right mind is going to want one of those little PC things on their desks when they can work with mainframe computers that talk to each other" … wow, did I miss the boat on that one! But I don’t' intend to miss THIS boat. If you shop online and know others who do, too, this business is something that you should be able to do well with. Owning your own "UnFranchise®" business is a fabulous opportunity. Many people start this business by working at it 10-12 hours a week and still "keep their day jobs". 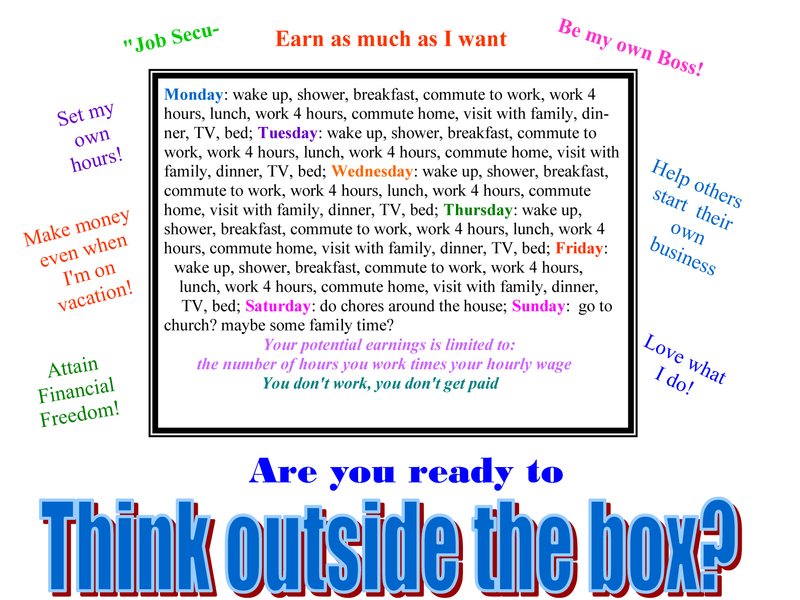 Per the estimates I have seen and hear about, the "average" person can earn $1200 a month in 1-2 years working only a few hours a week to get their business set up. I don't know about you, but I consider myself way above average so I'd like to be one of those who earn upwards of $7500 a month! You can see for yourself by viewing some of our Power Profiles. If you have an interest in learning more, I'd love to meet with you and show you my web portal and discuss how this business might fit into your life and help you work towards financial freedom and being able to "fire your boss" and work he way YOU want to work. If you're ready to think outside the box, give me a call or email and we'll talk!